Nothing adds more character and invitation to your outdoor space than a pineapple accent table. 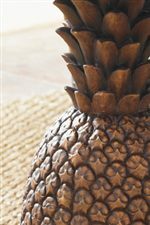 The pineapple, a universal symbol of hospitality and warm welcome, works perfectly for those outdoor entertainment areas that need to incorporate intrigue, style and a outdoorsy feel. 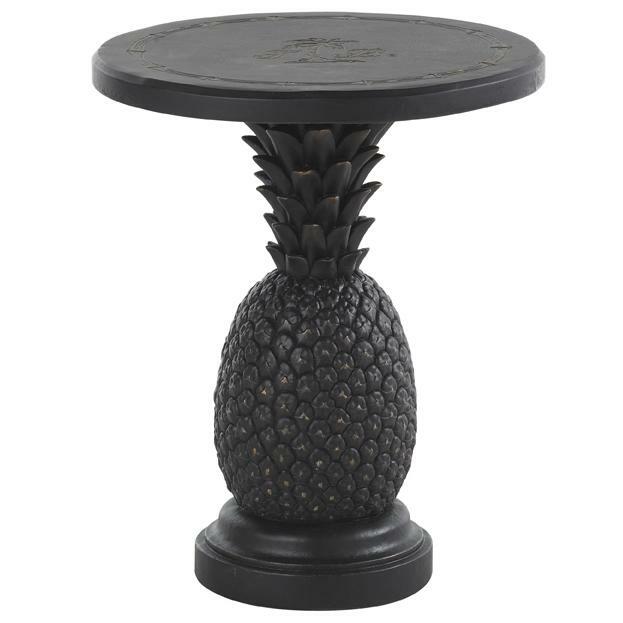 The pineapple design makes up the composition of the pedestal base, while the round table top consists of a weatherstone that is designed for outdoor durability. The black finish with the golden highlights will compliment the Kingston Sedona collection wonderfully. 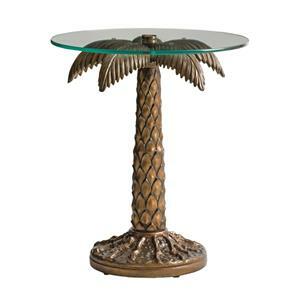 The Alfresco Living Black Pineapple Table with Bronze Highlights by Tommy Bahama Outdoor Living at Baer's Furniture in the Ft. Lauderdale, Ft. Myers, Orlando, Naples, Miami, Florida area. Product availability may vary. Contact us for the most current availability on this product. Finish & Paint Options Tables Available in two finishes: Sienna and Black with Bronze highlights. Warranty Express Limited Warranty- Applies to all Tommy Bahama Outdoor Living products that have been purchased from a factory-authorized dealer. Rights under this warranty only to the original purchaser and must be pursued only through the authorized dealer from which the products were originally purchased. This warranty is non-transferrable. Aluminum, All-Weather Woven Wicker, Finishes, Fabrics, Cushions have 3 year warranty. Glass, stone, weatherstone tops, Fire-pits, umbrellas, bases, and component parts have 1 year warranty. Damage due to improper care, mishandling, spill stains, normal fading, are not covered by this warranty. Maintenance Aluminum- Easily maintained. Clean twice a year with solution of mild soap and water. Frame- Drain any water that might have accumulated in frame. Failure to drain standing water may result in freeze damage, which is not covered by warranty. 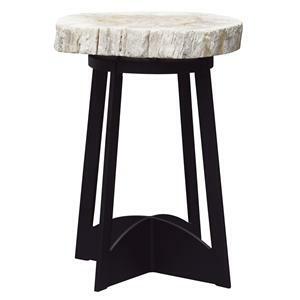 Just as decorative accessories pull an interior design project together and create impact, Alfresco Living is comprised of accent items that are equally important in putting the finishing touches on your outdoor living space. The collection includes versatile pineapple accent tables in two finishes, and umbrellas with logos and with custom Tommy Bahama bases. The only items left is your invitation list! The Alfresco Living collection is a great option if you are looking for Outdoor Furniture in the Ft. Lauderdale, Ft. Myers, Orlando, Naples, Miami, Florida area. 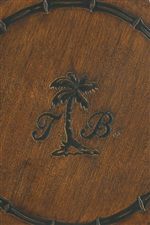 Browse other items in the Alfresco Living collection from Baer's Furniture in the Ft. Lauderdale, Ft. Myers, Orlando, Naples, Miami, Florida area.